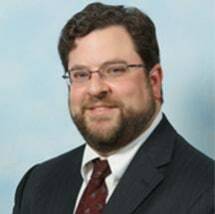 Matthew Schenk was named Partner at Ottenwess, Taweel & Schenk, PLC in August 2013 to head up the firm's new Governmental Affairs practice group. Prior to joining the firm, Schenk served as the Chief Operating Officer and Chief Compliance Officer of the Detroit Water and Sewerage Department (DWSD) where he assisted the department in resolving a thirty-six year old court action involving environmental compliance. As part of that effort, Schenk worked to create operational independence for the utility in the areas of Law, Finance, Human Resources and Procurement. Before his appointment to DWSD's Executive Management Team, Schenk served in various roles within Wayne County government, including Chief of Staff to the County Executive, Assistant County Executive, and Principal Attorney supervising the Municipal Law section of the County's Law Department. As Chief of Staff, Schenk managed various County departments, supervised nearly 2,000 employees, and had responsibility for the development and implementation process for Wayne County’s $2 billion annual budget. Schenk also worked on numerous regional initiatives, including the expansion of Cobo Center, the creation of a regional transit plan for Southeast Michigan, and the development of the Aerotropolis. Before coming to Wayne County, Schenk worked for the City of Detroit for seven years within both the legislative and executive branches of government. His last position in that period of service to the City was in the Law Department as Legislative Assistant Corporation Counsel. Schenk earned his law degree from Wayne State University and was admitted to the Michigan Bar Association in 1996. He also holds two bachelor's degrees from the University of Michigan. He is involved in numerous professional organizations, community affiliations, and civic boards, notably recently completing his second term as Chairman of the Board for the Suburban Mobility Authority for Regional Transportation (SMART). Schenk is also a skilled mediator and facilitator, having completed the Michigan Supreme Court Administrative Office’s approved 40 Hour Civil Mediator Training Course.